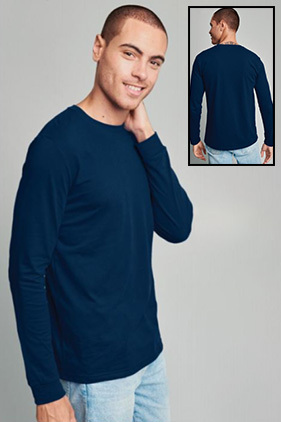 This long sleeve sueded tee is a perfect match. 40% polyester/60% combed ring-spun cotton, 32 Single 4.3 ounce sueded jersey long sleeve tee. Set in collar 1x1 sueded baby rib. 2" rib cuffs. Side seamed. Tear Away label.